As a business owner with good credit, youâre in a great position when it comes to loans and other financing options. A good credit score is one of the most important factors lenders consider when assessing risk. In fact, a solid credit score is one factor that puts you in the âlow riskâ category. That means youâre more likely to qualify for loan and financing options with lower rates and better terms. However, having good credit isnât the only piece to the financing puzzle. 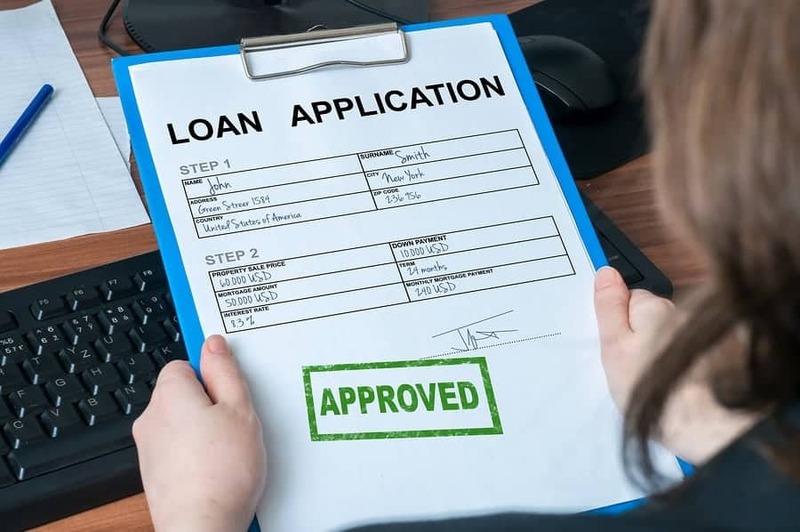 Before applying for a business loan, itâs important to go into the process knowing more about lender requirements, types of loans available, and what you need to apply for a loan. Read on to learn more about the business loans available for borrowers with good credit and which options are best for your financial situation. If youâve ever applied for a personal or business loan or any kind of financing, you know how important credit scores are to lenders. Your credit score is a measure of your risk. A good credit score shows that youâre low risk. You pay your debts on time each month, your credit history is free of major blemishes like bankruptcies, charge-offs, and defaults, and youâre a reliable borrower. Because of that, more creditors are willing to work with you. So, what makes a good credit score? Generally, a score of 700 or above is considered âgoodâ on a scale of 300 to 850, although some lenders may view a score in the high 600s as a good score. Having a high credit score helps you qualify for more financing options with lower rates, improved terms, and a lower overall cost of borrowing. As a business owner, having a good credit score is extremely important. Whether you want to hire more employees, acquire a business, build new facilities, or receive cash for an unexpected emergency, youâll have more options with a good credit score. In this article, weâll focus on the best loan options for business owners with good credit scores. If your score is holding you back from receiving these loans, however, you still have options. Check out loan options for bad credit to find financing thatâs the right fit for you. No matter what type of industry youâre in, there typically comes a time when you need equipment. Whether you need tools to manufacture your products, require a delivery or company vehicle, need new appliances, or must purchase a point-of-sale system, all equipment has one thing in common: it costs money. If you need to purchase equipment to expand your business or to replace outdated or broken equipment, and you don’t have the cash up front, thereâs a funding option for you: equipment financing. If you apply for an equipment loan, a lender provides you with the cash needed to purchase equipment. All you have to pay is a reasonable down payment. With good credit, you may even qualify for $0 down financing. After receiving your loan and making your purchase, you can put the equipment into use for your business immediately. Then, you simply pay your lender back through fixed installments that are applied toward the loan principal and the lenderâs interest and fees. Once you make all payments as scheduled, the equipment belongs to you. If you need to upgrade equipment frequently, you may consider another type of equipment financing. With an equipment lease, you sign a lease for a period of time — on average about two years. You agree to make scheduled payments to the lender through the duration of the lease. Once the lease period ends, you can return the equipment and choose a new model. Youâll then sign another lease. Youâll never take ownership of the equipment unless you pay a lump sum at the end of your lease. Lendio is a loan aggregator that connects borrowers with equipment loans from $5,000 to $5 million. Repayment terms for equipment loans are from 1 to 5 years, and interest rates for the most creditworthy borrowers start as low as 7.5%. Equipment financing can be used to purchase any type of equipment, including software, furniture and fixtures, commercial vehicles, and even solar panels for your facilities. To qualify for equipment financing, you must be in business for at least 1 year, have a credit score of at least 650, and have at least $50,000 in annual revenue. Expansion is a huge milestone for your business. Expansion means that youâre growing bigger and getting better at what you do. Unfortunately, opening another office, upgrading your existing facilities, or purchasing a new commercial building doesnât come cheap. Instead of cleaning out your bank account, fund your expansion with a Small Business Administration loan. The Small Business Administration has made it easier for businesses to get affordable loans. Even if youâve been turned down for a traditional loan, you may be eligible to receive a loan through an SBA intermediary lender. Portions of SBA loans are backed by the government, taking some of the risk off of lenders and opening up more low-interest financing options for small businesses. Through SmartBiz, you can receive SBA 7(a) commercial real estate loans from $500,000 to $5 million. Your loan can be used to purchase a commercial property or refinance your existing property. If youâre expanding your business in other ways, SmartBiz also offers working capital and debt refinancing loans from $30,000 to $350,000. These funds can be used for hiring employees, purchasing inventory or equipment, marketing, and other business expansion plans. Interest rates for SmartBizâs SBA loans are between 6.75% and 9% with repayment terms from 10 to 25 years. To qualify, you must be an eligible business based in the US and must meet the requirements of a small business as defined by the SBA. You must be in business for at least 2 years. To qualify for a 7(a) commercial real estate loan, your credit score must be at least 675. For working capital and debt refinancing loans, a minimum credit score of 650 is required. Your credit report must be free of recent bankruptcies, foreclosures, settlements, charge-offs, and defaults on government loans. For commercial real estate loans, the real estate thatâs purchased must be at least 51% owner-occupied. You can also apply for SBA loans through Fundera. With Fundera, you can receive between $5,000 and $5 million with repayment terms between 5 and 25 years. Interest rates begin at 6.75%, and you can receive funding as fast as 3 weeks after applying. Most borrowers that are approved for an SBA loan through Fundera have a credit score of 680, annual revenue of at least $180,000, and a time in business of over 4 years. When applying for an SBA loan through Fundera, the lender will walk you through the process and help you select the SBA program thatâs right for you, including 7(a) loans, CDC/504 loans, or Microloans. You canât operate a successful business without working capital. While your incoming cash flow should cover daily expenses in theory, sometimes you may fall a little short. This is when a working capital loan can help. A working capital loan gives you the money you need to cover your operating expenses, from payroll to debt payments. These short-term loans give you access to the money you need right away and are paid back through regularly scheduled payments. BlueVine offers two financing options for business owners. The first is a line of credit from $5,000 to $250,000. Proceeds from your line of credit can be used as working capital or to fund any business expense. Repayment terms are set at 6 months or 12 months with rates as low as 4.8%. Monthly or weekly payment options are available. To qualify for a BlueVine line of credit, you must have a credit score of at least 600. You must be in business for at least 6 months and have at least $100,000 in annual revenue. Another financing option available through BlueVine is invoice factoring. If your working capital has been affected by unpaid invoices, invoice factoring offers a solution. BlueVine has factoring lines up to $5 million with rates starting at 0.25% per week. The lender provides 85% to 90% of the total of your unpaid invoice up front. Once the invoice is paid, you receive the remaining amount, minus the lenderâs fees. To qualify, you must be a B2B business with a minimum credit score of 530 and $100,000 in annual revenue. You must also be in business for at least 3 months to qualify. Another financing option to boost your working capital is a business loan from Breakout Capital. This lender issues loans up to $250,000 with repayment terms up to 24 months. Rates start at 1.25% per month, and you can select from daily, weekly, or monthly repayment schedules. A one-time origination fee of 2.5% of the total loan is charged by the lender. Prepayment rebates are also available if you choose to pay off your loan early. To qualify, you must be in business for at least 1 year and have a personal credit score of at least 600. Monthly revenue of at least $10,000 is required to receive a Breakout Capital loan. Breakout Capital also offers FactorAdvantage, an invoice factoring service. Through this service, you can receive up to $500,000 for your unpaid invoices. There are no time in business, personal credit score, or monthly revenue requirements to qualify. You have an existing client base, but in order to scale your business and boost your profits, you need more customers. The best way to draw in new customers and clients is with a marketing and advertising campaign. Unfortunately, effective marketing and advertising cost money — money that may not be in your budget. Instead of putting off marketing your business, consider a term loan to help you fund your marketing and advertising expenses. A term loan is a loan that provides you with a set amount of money up front which is later paid back through regular installments. Repayment terms are typically spread out over a few years, and payments are made daily, weekly, or monthly toward the principal loan amount and fees and interest charged by the lender. Since a term loan is for a specific amount of money, itâs important that you know exactly how much you need before applying. Take the time to calculate your marketing and advertising costs to ensure you receive the money you need for your campaign. OnDeck offers several financing options for your marketing and advertising needs. This lender has short-term and long-term loans available up to $500,000. Short-term loans are repaid within 3 to 12 months and have simple interest rates as low as 9%. Long-term options are available with repayment terms from 15 to 36 months with annual interest rates as low as 9.99%. To qualify for OnDeck term loans, you must be in business for at least 1 year. A personal credit score of 500 and $100,000 in annual revenue are also needed to qualify. Origination fees of up to 4% are added to your loan, and you can sign up for fixed daily or weekly payments. If you want a more flexible financing option, OnDeck also has lines of credit up to $100,000 with APRs starting at 13.99%. To qualify for a line of credit, you must be in business for at least 1 year, bring in $100,000 in annual revenue, and have a personal credit score of at least 600. No business is immune to cash flow problems. Maybe itâs a slow season or an emergency expense affected your incoming cash flow. Regardless of your financial challenges, you need cash flow to keep your business operating as it should. If temporary cash flow issues are impacting your operations, consider a financing option such as a merchant cash advanceÂ (MCA) a short-term loan to receive the money you need quickly. Merchant cash advances have a reputation for being one of the most expensive forms of financing. However, a financial product like American Express Merchant Financing can provide the benefits of MCAs without the notoriously high fees. Through American Express Merchant Financing, you can receive between $5,000 and $2 million that is repaid over 6, 12, or 24 months. A fixed fee between 1.75% and 20% is charged based on your creditworthiness and other factors, including term length. Your loan is repaid through daily debits or through your receivables, including American Express transactions. To qualify for American Express Merchant Financing, you must have at least $50,000 in annual revenue and at least $12,000 in annual credit and debit receivables. Your business must accept American Express cards, and you must be in business for at least 2 years. If you donât qualify for American Express Merchant Financing, another short-term option to consider for resolving cash flow problems is a small business loan from IOU Financial. You can apply for $5,000 to $300,000 with repayment terms between 6 and 18 months. A factor rate of 1.15 to 1.31 is charged by the lender. To qualify, you must sign a personal guarantee. You also need at least 10 deposits each month in your business checking account. A personal credit score of 600, a time in business of at least 12 months, and annual revenue of $120,000 are requirements to qualify for IOU Financialâs short-term business funding. You need to make payroll, but your business banking account is running low. You have upcoming expenses, but the cash just isnât there. If youâre facing cash shortages in your business, a line of credit can fill in the gaps. A line of credit is a flexible form of revolving credit. Once approved, your lender will set a credit limit. You can make multiple draws up to and including your credit limit. Most lenders initiate transfers immediately, so youâll receive the cash you need in your account as quickly as the next business day. You wonât have to wait for approval with each draw, so youâll quickly and easily receive the money your business needs. Fees and interest are only charged on the used portion of your credit line. As you make payments, funds will become available to withdraw again as needed. Kabbage issues lines of credit up to $250,000. Repayment terms are 6 months or 12 months, and your payment is automatically withdrawn each month. Kabbage charges fee rates between 1.5% to 10% for each month you carry a balance. To qualify for a Kabbage line of credit, you must be in business for at least 1 year. Revenue requirements are: $50,000 annually or $4,200 per month for the last 3 months. There is no minimum credit score required to qualify. Loan approval and your credit limit are based on the performance of your business. One standout feature of this lender is the Kabbage Card. In addition to taking traditional draws, you can use your Kabbage Card for instant access to capital. Once you use your Kabbage Card, a new loan will be added to your account with the same rates and terms as traditional draws. Supplies and inventory are critical for the success of your business. Without your required supplies, your business wonât run efficiently. Without inventory, you wonât be able to service your customers. Your operations may slow down â¦ or even come to a screeching halt. While your incoming cash flow will often cover the costs of supplies and inventory, there may be times when this just isnât enough. An emergency expense that comes at the wrong time or a seasonal uptick in sales are just two scenarios where it becomes difficult to handle the burden of purchasing supplies and inventory alone. When this occurs, consider the benefits of inventory financing. Inventory financing is a loan or line of credit that is used to purchase supplies or inventory to keep your business operating as it should. Youâll receive the upfront cash you need to make your purchase, then repay the loan through regularly scheduled payments. This is an affordable way to purchase your supplies and inventory when your bank account is running low or you donât want to tie up all your funds. StreetShares offers several financing solutions for the purchase of supplies and inventory. Through StreetShares, you can receive a Patriot Express line of credit between $5,000 and $250,000 with repayment terms of 3 to 36 months. Interest rates are between 6% and 14%, with a draw fee of 2.95%. Your line of credit is repaid weekly. Installment loans between $2,000 and $250,000 are also available through StreetShares. You can borrow up to 20% of your annual revenue. These loans come with terms of 3 to 36 months. Interest rates are between 6% and 15% with closing fees up to 4.95%. To qualify for a StreetShares installment loan or line of credit, you must be in business for at least 1 year and have annual revenue of at least $25,000. A personal credit score of at least 620 is required to receive a StreetShares line of credit. An emergency always strikes when we least expect it and brings with it expenses that just arenât in our budgets. Emergency funding needs can put a dent in your bank account and temporarily derail your operations. If youâre stuck without an emergency fund and shuffling around your finances isnât a viable option, itâs time to consider a business loan. There are multiple financing options that will work for youÂ — such as credit cards, lines of credit, and short-term loans — but regardless of what you choose, you need financing and you need it fast. With an American Express business loan, you can receive $3,500 up to $50,000 with repayment terms of 12, 24, or 36 months. Amex loans come with fixed interest rates starting at 6.98% up to 19.97%. Amex loans can be approved within seconds and funds sent within 3 to 5 business days. To qualify, you must be the cardholder on an eligible American Express Business Card and be a US citizen thatâs at least 18 years old. You must also be pre-approved in order to apply. If you donât qualify for an American Express business loan, another fast financing option for small business owners is Fundbox. Youâll receive a credit decision for a Fundbox line of credit in just minutes. Once approved, you can make your first draw instantly and receive a deposit as soon as the next business day. Through Fundbox, you can apply for flexible lines of credit up to $100,000. The lender charges fees starting at 4.66% of the draw amount. Repayment terms are set at 12 or 24 weeks. To qualify, you must have an active business checking account and at least two months of activity in Fundbox-supported accounting software. If you donât work with accounting software, you can supply bank statements from the last three months. You should also have a minimum annual revenue of $50,000, and your business must be based in the US. All of these financing solutions work well for established businesses, but what if you need money to get your business up and running? Time in business and annual revenue requirements could hold you back from receiving a loan, even if you have a high credit score. Put your good credit to use by applying for a personal loan to use for business. Because itâs a personal loan, factors such as your time in business or revenues wonât be a factor for approval. Instead, the lender will consider your own personal credit history and income when approving your loan. If you have good credit and enough income to support a loan payment, you can receive a very affordable loan that can be used to launch your business or cover startup costs. You can receive up to $25,000 with a LendingPoint personal loan. Repayment terms are 24 to 48 months. APRs for LendingPoint personal loans range from 15.49% to 35.99%. Lending Point charges origination fees between 0% and 6% of the total loan amount. To qualify for a loan, you must reside in one of the 43 states where LendingPoint operates. Applicants in Washington D.C. are also eligible to apply. Additional requirements include a minimum income of $20,000, a verifiable bank account in your name, and a credit score in the 600s. Prosper personal loans are available in amounts from $2,000 to $40,000. APRs range from 6.95% to 35.99%. Repayment terms are 3 years or 5 years. To qualify for a Prosper loan, you must have a credit score of at least 640. You must also have a debt-to-income ratio below 50%. You must have a source of income, although there are no minimum income requirements. Your credit report must have less than five credit bureau inquiries within the last 5 months, no bankruptcies within the last 12 months, and at least three open trades. Upstart personal loans are available from $1,000 to $50,000. Repayment terms are 3 years or 5 years with fixed rates between 8.89% and 35.99%. To apply for an Upstart loan, you must be at least 18 years old. Applicants in Iowa or West Virginia are ineligible to apply. You must have a personal bank account with an institution located in the US, and you must have a full-time job, a job offer within the next 6 months, a part-time job, or another source of income. A minimum personal credit score of 620 is required to qualify. Further credit requirements include no delinquent accounts, bankruptcies, or public reports. You must have less than 6 credit inquiries from the last 6 months, although student loans, mortgages, and vehicle loans are excluded. Upstart will also consider your DTI when approving your loan. Now that you have an idea of the types of loans available for your business, the next step — if you choose to move forward — is to find your lender. Maybe youâre torn between a few lenders, or you want to do your own research to find the most affordable loan option. When youâre searching for a lender, ask yourself the following questions. This simple question will help you narrow down the playing field. If you need $100,000 but a lender has maximum loan amounts of $10,000, move on to the next option. Before you apply, know the amount that you need — and make sure it coincides with the amount that you can afford. Even if you meet the credit score requirements of the lender, make sure you meet all other requirements as well. Get the most up-to-date view of your credit score by receiving your free credit score online. Most lenders have basic requirement for age and citizenship. However, others have minimum requirements for your annual income and revenues, time in business, and DTI ratio. Some lenders have restrictions on how loan proceeds are used. For example, an equipment loan canât be used as working capital. It can only be used to purchase equipment. Plan how you will use the loan to determine which type of loan best fits your financial needs. Then, find a lender that offers this type of loan. By this point, you should know the amount of money you need (and can afford) and the type of loan thatâs best for your business. You may even have a list of lenders that youâre considering. Before you apply, know what to expect before heading into the application process. Requirements vary by lender, so make sure to review and submit all documentation requested during the application process. Also, be sure to keep in contact with your lender to provide additional information and documentation as needed until your loan is approved and funded. Having a high credit score will help you obtain a business loan, but donât lean solely on your solid credit. Research your lenders, know your options, and find products suitable for your financial needs to ensure you get the low-interest, affordable loan your business deserves. The post The Best Business Loans For Good Credit appeared first on Merchant Maverick.